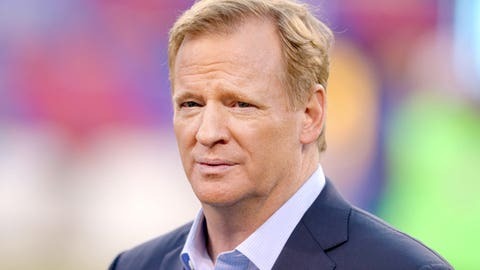 NEW YORK (AP) — Roger Goodell expects NFL owners will vote on franchise relocation to Los Angeles. The league’s commissioner said Wednesday the owners expressed interest "in wanting to be there, but also recognize we need to find solutions." Pittsburgh Steelers President Art Rooney said he doesn’t envision that timetable being changed. He noted that St. Louis, Oakland and San Diego "still are putting together their proposals" to keep their teams. The Rams are proposing a stadium in Inglewood, California, while the Raiders and Chargers have one planned for Carson.